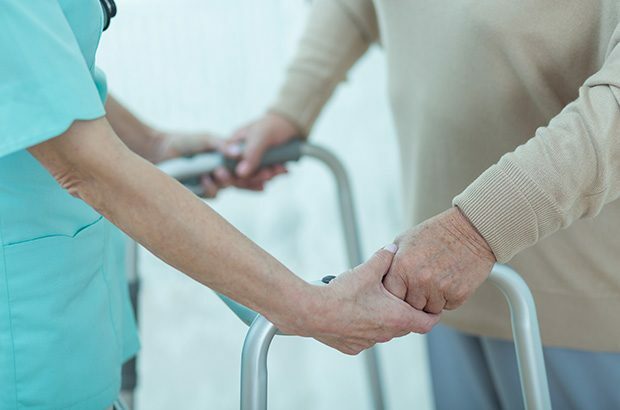 UK care and nursing homes have been in the news a lot recently, but amid all the conversation not much has been heard about what it’s like to provide such a complex service. Given the much-debated pressures on the sector, and the extreme importance of caring for vulnerable elderly people, it's crucial that the market works as effectively as possible to deliver the best outcomes and serve those who need it. That’s why we’re examining it from all angles and across all of the United Kingdom. We want to check whether it’s working for all those who engage with it – be that residents and their families, the NHS or local councils or those, potentially like you, who work within it. We want to make sure we hear from as many people as possible to make the most informed judgement about how well the care homes market works. Please take a few minutes to read the criteria we're assessing below and if you have information to provide email carehomes@cma.gsi.gov.uk by 5pm on 16 January 2017. At the beginning of December, the CMA launched a market study into care and nursing homes for older people, looking into possible competition or consumer issues. The study aims to assess whether the market works well within the current funding and regulatory frameworks. If not, we'll consider how it might be made to work better, and make recommendations to government, local authorities or regulators, as well as the industry, to achieve this. It's possible, if we find potential breaches of competition or consumer law, that we may launch further investigations into these. What are the main pressures for care home providers that affect their long-term sustainability (for example changes in costs and regulation)? Does the way local authorities and the NHS buy services work well? How do local authorities and regulators affect outcomes in this sector, including through ‘market shaping’ activities? How do regulations in each nation affect care homes and competition between them? Are there any impediments to the supply of care home places, both for self-funded and local authority funded residents? Does anything prevent the type of competition you'd expect in a healthy market, such as barriers to entry and expansion and a lack of capacity? Do complaints and redress systems work promptly and effectively? Whether older people and/or their representatives are being disadvantaged through the use of unfair terms and conditions, and whether there are unfair business practices. How older people and/or their representatives first choose a care home, and if there's appropriate information available to them. One area of concern that we’re particularly interested in looking closely at is whether care home providers are incentivized to compete with each other to attract business and whether this helps improve value for money for customers. For example, do the ways self-funders choose care homes, or local authorities procure services, reward providers for trying to improve their services? How well are potential residents able to assess different care homes given they're often making quick decisions under very difficult circumstances? We'll also be considering whether any factors restrict care homes from competing and acting effectively. We'll look at whether anything makes it difficult for care homes to invest and grow and for a vibrant sector to flourish, and whether local authorities are helping the sector plan and develop. We've already heard from the sector about concerns around increasing costs and recruiting staff. To allow us to consider these issues, we want to hear from all participants in the market to understand all these issues, whether they occur and the reasons why participants act as they do and why the market works as it does. So we would particularly like to hear from care home providers. Do you think the market for the provision of care home services is working well? What are the issues and how can these be addressed? Are any of the concerns that have already been raised well-founded, or not? We can only survey or approach directly a small proportion of the 19,000 homes across the UK, but we would welcome submissions on the issues identified in our statement of scope, or other points you wish to raise with us. Please email carehomes@cma.gsi.gov.uk. Responses will be most useful to us if we receive them by 5pm on 16 January 2017 so we can take account of them in our investigations. As a provider of care home (for older people and people with dementia) in Cromer, Norfolk, I can assure you that this CMA involvement is the best thing that could happen to the care of older people and to the care home providers in the UK in 2017. I do have relevant information regarding the issues. I will email my submission to CMA before 16th January 2017.